Because of their sheer size and weight, 18-wheelers are among the most dangerous vehicles on the road. A collision with a large truck is a tragic occurrence for innocent drivers, passengers, and pedestrians. While legal action cannot undo the devastating consequences of a truck accident, it can play an important role in getting victims and families of victims get the financial compensation they deserve. At [firm-name], we take a stand against negligent trucking companies and reckless truck drivers. We provide legal representation for victims of truck accidents, and we may be able to seek justice for you as well. Contact our Fort Lauderdale truck accident attorneys at (954) 475-9666 to find out more about your legal options. 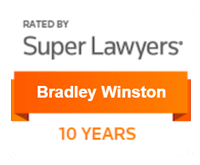 Every case we take is different, but to each one we bring our forty years of combined experience and accumulated wisdom. Our legal team is wholly dedicated to seeking favorable outcomes for our clients. As a truck accident victim, you may be entitled to substantial monetary compensation, and we may be able to help you seek it. If you have been involved in a truck accident and suspect that the trucking company or driver may have been responsible, you may wish to retain the services of a Fort Lauderdale truck accident lawyer. 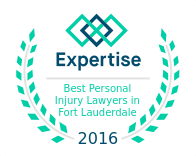 Contact a compassionate Fort Lauderdale personal injury attorney of Winston Law Firm at (954) 475-9666 to schedule an initial consultation.